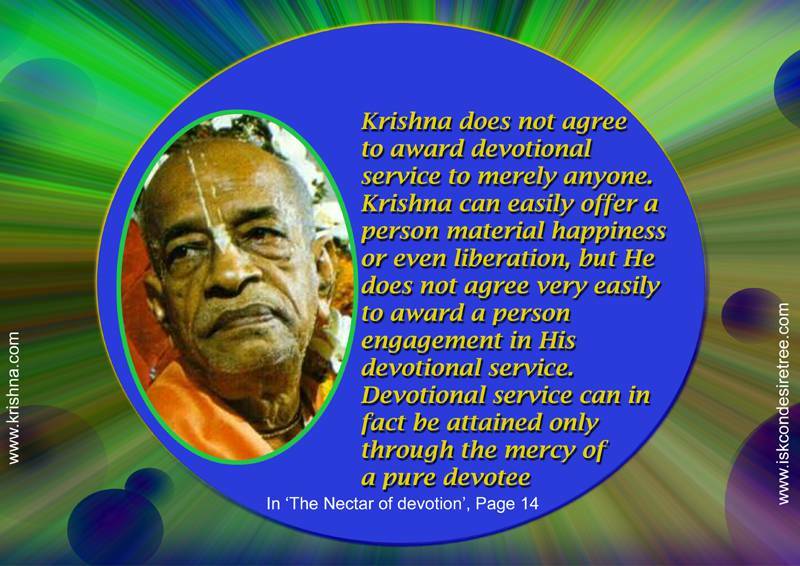 Krishna does not agree to award devotional service to merely anyone. Krishna can easily offer a person material happiness or even liberation, but He does not agree very easily to award a person engagement in his devotional service. Devotional service can in fact be attained only through the mercy of a pure devotee. — The Nectar of Devotion, Page 14.